Next goals: Complete first full-scale manufacturing run for Water Pod 8. What if the residents of Waukesha had water filtration systems installed in their homes to correct the city’s water quality issues? Milwaukee’s Stonehouse Water Technologies LLC has developed a water filtration system for just that purpose, with the tagline: “Making the unthinkable drinkable.” The Water Pod 8 provides a compact whole-house water purification system that can handle as much as 20,000 gallons per day. It eliminates bad odor and taste, destroys 99.9 percent of bacteria and viruses, and reduces heavy metals such as lead. Stonehouse raised a $1.55 million funding round in November, which will help fund manufacturing and inventory of its Water Pod 8. It plans to roll out the product into the new construction, agriculture and private well markets in Wisconsin once it is produced. 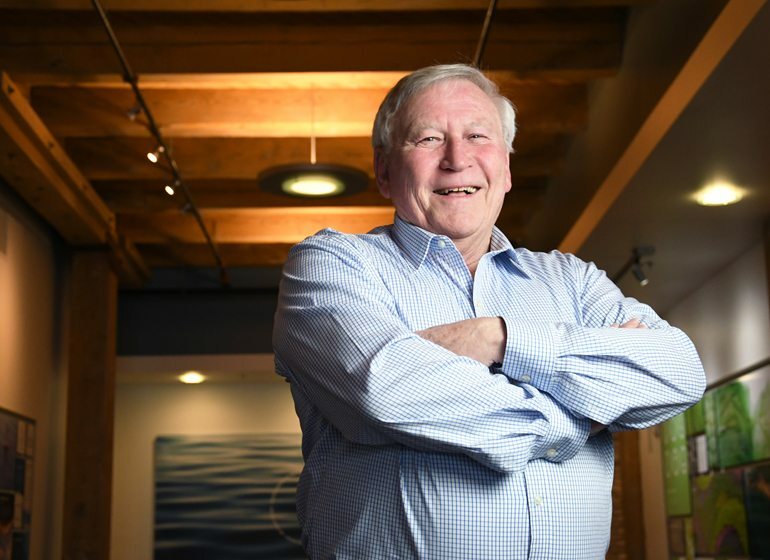 One of the first tenants of the Global Water Center in Walker’s Point, Stonehouse credits its growth in part to the collaborative water innovation atmosphere in the building. Foster, a retired engineer, and vice president Anne Wick, a registered nurse, initially focused on developing countries in Africa and Asia. But then they learned there were areas much closer that needed its products. Kewaunee, Wisconsin is one example right in Stonehouse’s backyard. It became a pilot site for the Pod 8. The pods can be customized depending on a customer’s water quality concerns, and the modular design will allow Stonehouse to add new filters later as they are developed. Stonehouse can remotely monitor their performance. They are currently being manufactured at Romus Inc. in Roselle, Illinois, and Moldmakers Inc. also makes some of the parts locally. Moldmakers is a division of Germantown-based MGS Mfg. Group, which along with founder Mark Sellers was a lead investor in Stonehouse’s funding round. Stonehouse plans to introduce at least three new products in 2018: a nitrate removal cartridge, an LED disinfection system and an arsenic removal cartridge for the pod. “There’s just no way that we’re going to be able to stop global pollution—so we’re just going to have to deal with it,” Foster said.